Let's dance the blues with Elmo! La la la la! Get ready to move and groove with Let's Dance Elmo! Little ones can get the dance party started by pressing the Elmo toy's heart button to hear fun phrases. 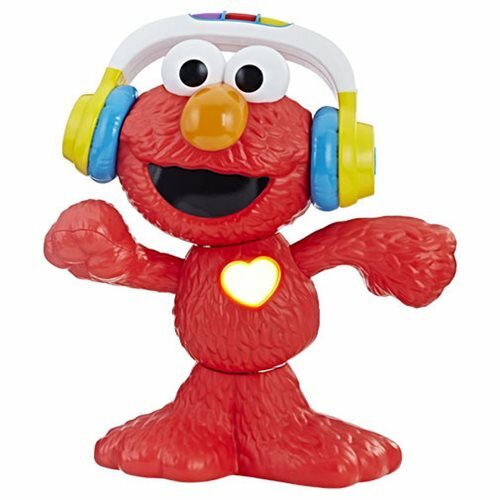 The 3 buttons on Elmo's headphones activate 3 musical modes - Colors, Animals, and Music Remix. He'll dance them very much. 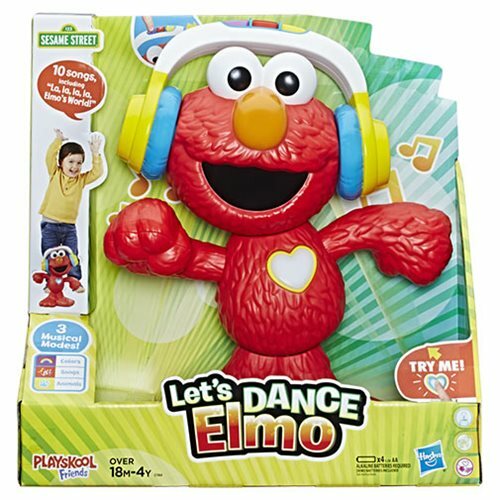 This fun, musical Elmo toy encourages little ones to get up while dancing along with Elmo as he swings his arms, tilts his head, and shakes his hips! His heart lights up to match the colors in the songs, and even flashes along with the beat! Also, Elmo's headphones act as a handle so little ones can take the fun on the go! Elmo is about 12-inches tall. Requires 4x "AA" batteries, not included (demo batteries included for display purposes). Ages 18 months to 4 years old.